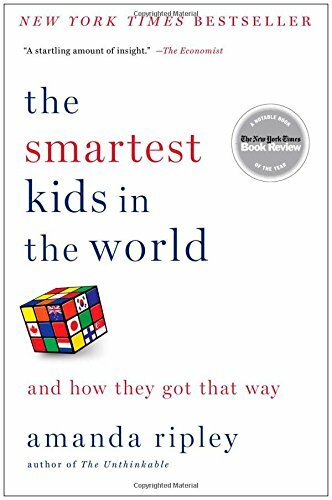 Can You Really Make Your Child Smarter Than Their Classmates? Parents will do anything for their children. Whether it be the food, clothes, or the place they live, parents will always make sure their children have the best of everything. One of the biggest concerns that parents currently have is educating their children. This day and age, parents are faced with an array of difficulties when it comes to education for their young ones. Choices include private school, charter school, public school or homeschooling. Although they are all comparable, at the end of the day, the education that their child receives surpasses everything else. Fortunately for parents, there are an assortment of different strategies that a parent can take in order to increase their child's skills and overall intelligence. According to Ross A. Thompson, PhD, professor of psychology at the University of California at Davis, from ages one to four, a child’s brain grows at enormous rates. Your child's brain will actually reach 90% of it's full size by the time they start kindergarten. This means between the ages of one and four your child's brain is essentially a colossal sponge waiting to assimilate information. So, how does a parent begin feeding this information into their child's underdeveloped brain? Well, there are several ways. An instrument is a magnificent way to teach discipline to your child. It will also allow them to learn facts about an instrument, how to read and write music, and give them a jump start in an area that most parents completely ignore. According to researchers at Northwestern University in Chicago, exposure to music can benefit the brain's developmental stages. The research concluded that playing an instrument directly affected the brain stem, the lower section of the brain. Moreover, children that learn an instrument at an early age tend to continue it when they are older. A well balanced meal is essential for a child's mental and physical health. You may want to double check with your pediatrician if a multivitamin is necessary for your child. Good nutrition is one of the keys in order to enhance your child's brain function. Furthermore, eating full meals is important. Many parents will feed their children just a bowl of cereal when it is not enough. Numerous studies show that children who eat a full breakfast perform better on exams than children who don't. One of the most essential skills a child could obtain is language, diction, and verbal skills. Not just in their primary language, but other languages as well. It is recommended that parents teach their children two languages at once. Many children speak two languages, both at home and in school. Many bilingual children speak their first words by ages one or two. This is the time their brain absorbs everything. This process of making your child become bilingual can be made simpler by using books, CDs, and videos. In some cases, they may even have friends or classmates that speak the same language as them. Remember, it is much harder for a teenager or grown adult to learn a new language from scratch. Your child only has this window of opportunity open for so long. Research suggests that a second language should be taught when children are in preschool. Other studies state that three to four years of age is the perfect time. Clearly, any age under four would work perfectly fine for a child. Research done by a Detroit pediatrician neurologist, Harry Chugani, concluded that in Sweden three year old children were all speaking three different foreign languages fluently. Sweden is one of the European nations with the highest literacy rates. There is no doubt that bilingual and trilingual children will definitely have a strategic advantage over their classmates and future co-workers. The average child will learn how to read between Kindergarten and second grade. That is, if you allow them only to learn how to read in school. Many parents can give their children a jump start by teaching them to read before they start school. Children could have a decent background of the alphabet and sounds of words before attending school. This can be done by simply reading to them whenever you want. The more comfortable they get, the easier the process will be. Believe it or not, TV is a strategic tool to increase your child's intelligence. There are some sources that state TV is “simply bad for kids”. On the other hand, certain studies completely contradict that. The secret has to do directly with what a child views. For example, a typical cable or satellite company offers you tons of channels. There is literally a channel for everything you can think of! One study was conducted in the Kansas City area. It consisted of around 200 students who were from either low or moderate income families. All of the children were from ages two to four years old. After the three year study was completed, the research confirmed that the children who viewed educational TV programming scored better on every type of class exam. Children who viewed regular programming scored lower. Another study took place at the Children's Hospital and Regional Medical Center in Seattle. This study was intended for children under the ages of six and excluded infants. It concluded that quality educational programming affects children in many positive ways. TV programs such as Sesame Street and Mister Rogers, helps children gain general and necessary information and increases their cognitive skills. Going beyond basic programming, you should consider allowing your children to watch other channels, such as the History Channel, The Learning Channel, The Discovery Channel, The Disney Channel, Nickelodeon, The Military Channel, and The Science Channel. Sounds a bit overwhelming, right? Not really, at a young age, children will have the capability to absorb crucial information from these channels. For example, let's take a look at young adults when they reach high school. Do you know which U.S. states have the highest high school dropout rates? They are Nevada, Georgia, Alaska, Oregon and New Mexico. In Nevada, only 60% of students graduate. Isn't that just horrendous? The main reason is lack of interest in certain areas of studies and poor grades. Studies show that preschoolers who view educational programming are more likely to continue watching the same programming through junior high school and into adulthood. The only challenge you will have is to monitor what you want your child watching. For example, The History Channel offers an assortment of high-quality programming. Your child can absorb the information in virtually no time. The only problem is that in many college professors call it “The Hitler Channel” for it's overplayed and drawn out World War Two programming. However, this is not a bad thing, as long as you monitor which show is on. Did you know that most junior high school students don't even know what The Holocaust was? The History Channel, The Learning Channel, and all of the others can be a magnificent tool to inform and inspire your child at an early age. Many children who have an interest in history and science at an early age, are more likely to self-teach themselves about economics, politics, sociology, and other topics. If you are not fortunate enough to have cable or satellite TV, you should be running towards PBS (Public Broadcasting Service). PBS offers the same quality programming for free. The morning shows tend to be for very young children and the evening programming is geared towards older children. If you ever look closer at the PBS programming schedule, you will notice that it sometimes will broadcast History Channel shows at night. Interesting, right? All parents should take advantage of PBS and other educational programming for their children. So, is it really possible to make your child smarter than their classmates? Of course it is! By implementing these strategies your child can achieve any goal. Oh, and here is one more trick, have your child learn all of the U.S. Presidents and/or U.S. States and Capitals by heart. It will take a little while, but once they absorb it, they will shock all of their classmates and maybe even their teacher. I am more than happy to share the information with everyone.